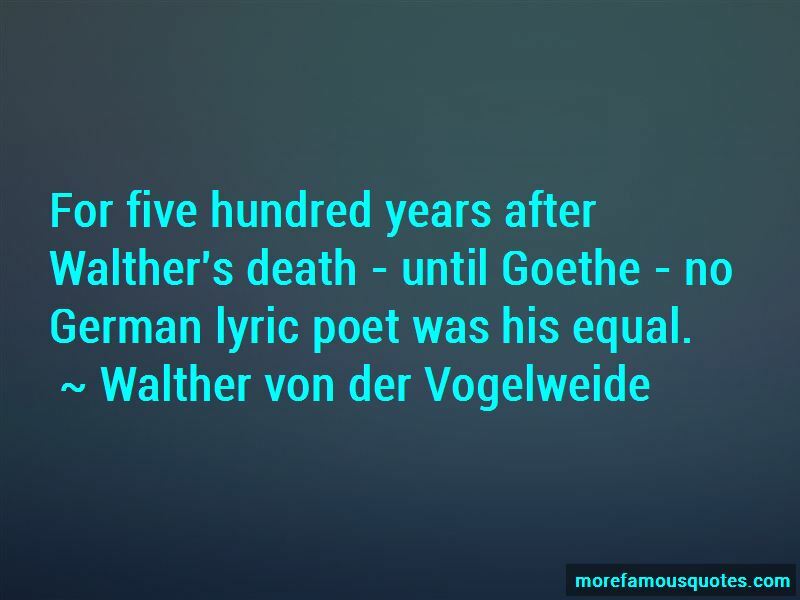 Enjoy the top 3 famous quotes, sayings and quotations by Walther Von Der Vogelweide. Winter has caused damage everywhere: meadow and forest are all grey, where before you heard many sounds. If I could see the girls play ball on the street, then bird song would come back. If only I could sleep through the winter! When I am awake I feel only hatred that his power is so far and wide. God knows, he even fights with May; I picked flowers where there is now snow. 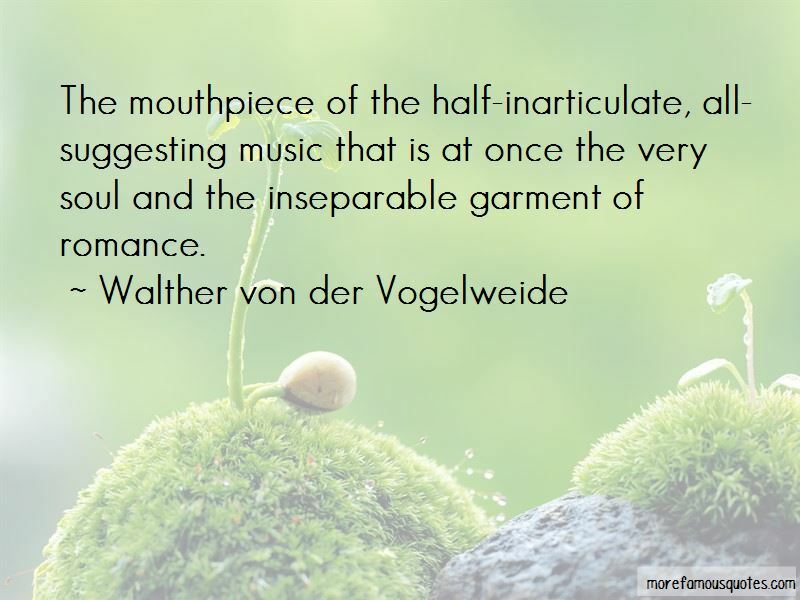 Want to see more pictures of Walther Von Der Vogelweide quotes? 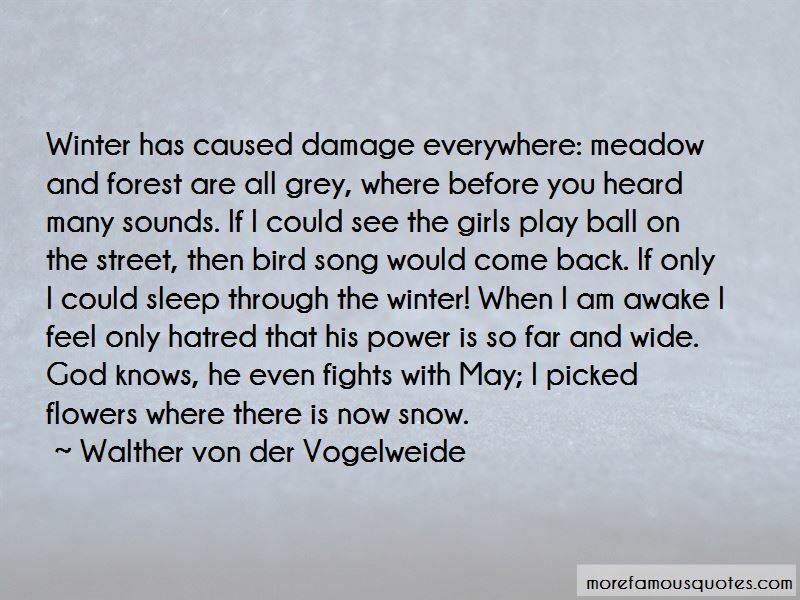 Click on image of Walther Von Der Vogelweide quotes to view full size.